Create a Public Service Announcement! New Minimum order of Only 200! No Setup Fees! 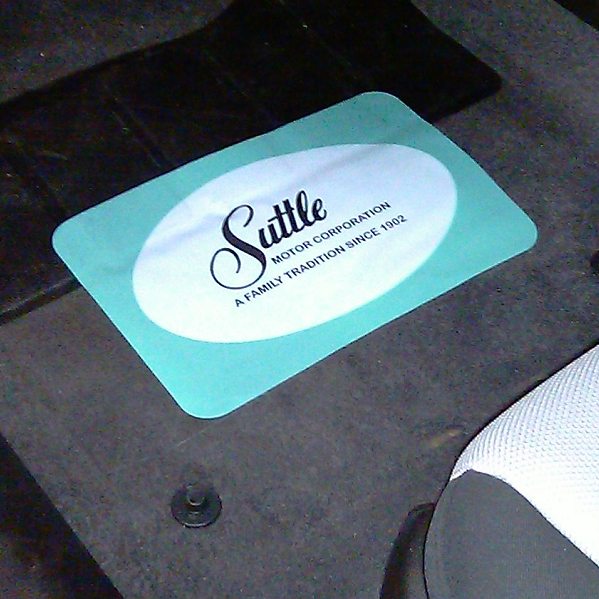 Custom Promat Protectors Try your Corporate Identity in up to 4 Colors on the Pro Grade Vented Vinyl Carpet Protector. $2.14 for each Promat Protector, or Only 1.75 each for orders of 1000. Tried and Tested ⇌ Reliable and True. Warrantied for 30 days with a money back guarantee. Pro Grade reflects the quality of your own Dealership. Imprint your Dealership Logo in up to four colors. Sets a new standard for your Detail Team. Ease of use inspires a higher standard of performance.